A beauitful sun halo captured from the country. I used my fist to block the sun for the image. 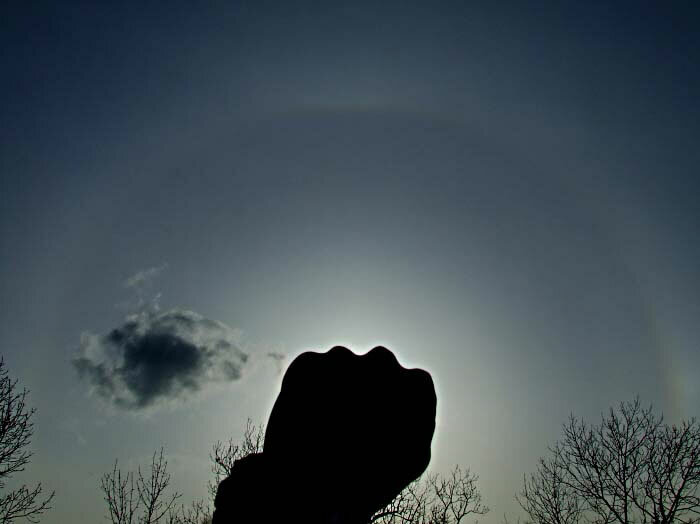 A fist held at arms length equates to 10 degrees, from the image you can see that most halos are 22 degrees from the sun. That is the halo radious is 22 degrees and the complete halo is 44.